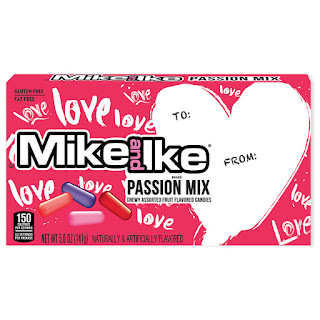 This Valentine’s Day do not forget to get PEEPS, Hot Tamales, Mike & Ike to give your loved ones they can either be given by themselves or incorporated in baking. 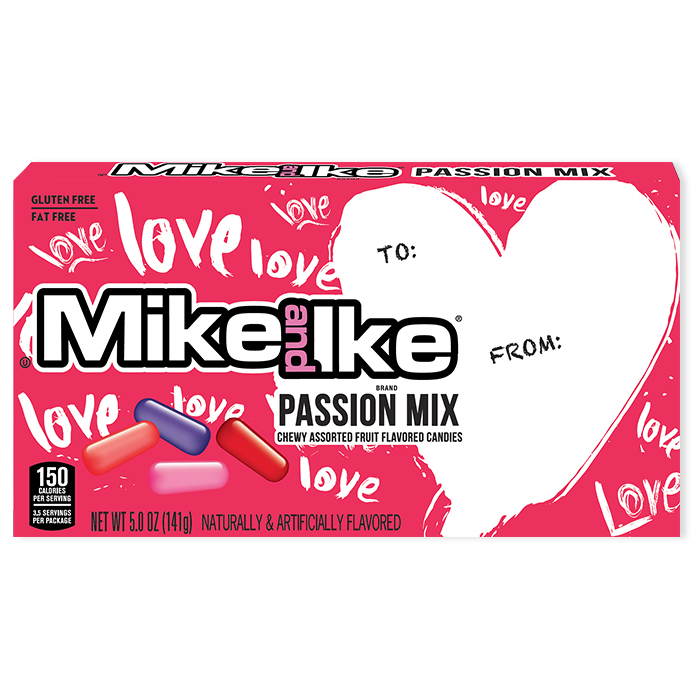 Mike and Ike Passion Mix for Valentine’s Day these are limited edition they are available in three distinctive colors with a message and that’s perfect for anybody. 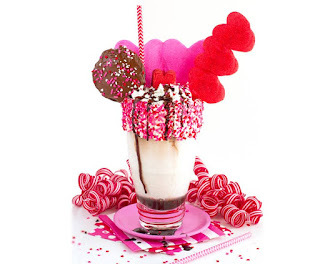 Even Cupid can’t resist this tasty assortment of fruit flavors which include Strawberry, Grape, Cherry and Paradise Punch. With new graphics, you can give to multiple people for this gift in occasion for your love, BFF, and crush. You will find these in 5-ounce theater boxes, SRP $1- $1.50, these have 6 calories per piece, fat-free and gluten-free. 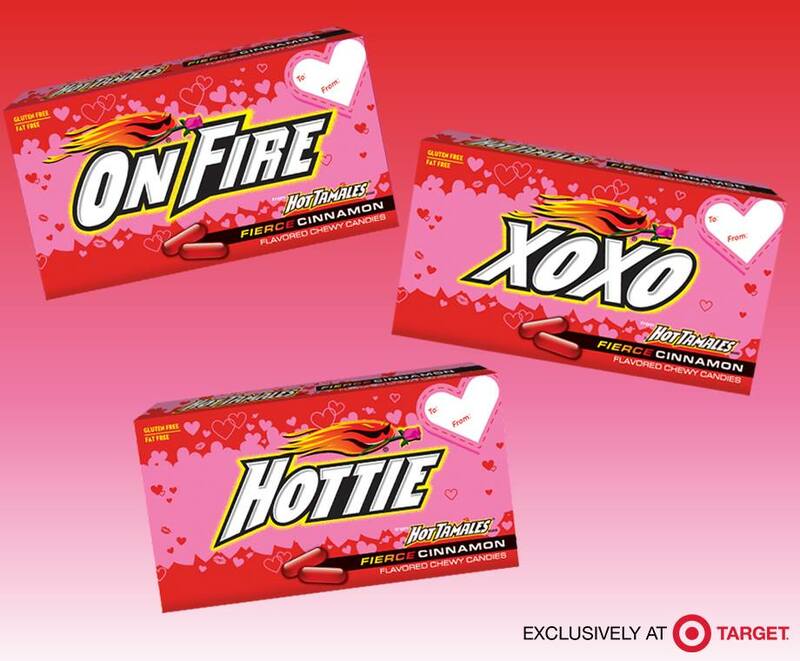 Hot Tamales Fierce Cinnamon these Limited Edition flavored chewy candies with the original bold and fiery flavor these festive boxes feature a personalized tag which is perfect for gifting the way they come or using for crafts. The boxes say HOTTIE on them they have 7 calories per piece, fat-free and gluten-free. You can find them in 5-ounce Theater Box with an SRP $1-$1.50. PEEPS Cherry Cordial Delights Valentines Limited Edition these marshmallow chicks feature three sweet cherry flavored chicks dipped in smooth the dark chocolate, they are perfect for sharing with the ones you love. These come in a three-count package and have 50 calories per chick, our gluten-free. SRP $1.99-$2.49. These three-delectable strawberry crème flavored marshmallow chicks dipped in smooth milk chocolate are so good you may just keep them for yourself! They have 50 calories per Chick and gluten free. A 3-count package SRP $1.99 - $2.49. PEEPS Vanilla Crème Hearts these come in a package of nine flavored with vanilla cream marshmallow sprinkled with red flecks they have 33 calories per Heart, fat-free and gluten-free. SRP: $1.39-$1.69 for a 9-count package. PEEPS Large Marshmallow Hearts 2 CT this package of two large pink marshmallow hearts, keep one for yourself and give the other to the one who makes your heart skip a beat! With only 55 calories per heart, gluten-free and fat-free. SRP $1-$1.99. You can also get a 6 CT package for SRP $1.39-$1.69. 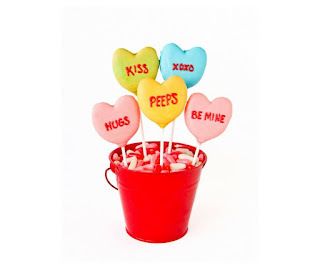 PEEPS Marshmallow Mini Hearts express your love with eight sparkly red marshmallow mini hearts. This has a write on the personal tag for gifting along with having 14 calories per heart, fat-free and gluten-free. SRP $0.79-$0.99 for an 8- count package. marshmallow bunnies are also a perfect Valentine’s Day decoration for baked goods. Available in 4 and 12 count packages with 28 calories per Bunny, fat-free and gluten-free. SRP $0.99-$1.19 for 4 count package and $1.08-$1.69 for 12 count package. MY Opinion: PEEPS have been a favorite since I was a kid mostly at Easter but now they can be found for every season. I love Hot Tamales as the Hot Cinnamon is a great breath freshener and the flavor is nice. Mike & Ike as also a great snack to help moisten the mouth and give it a flavor kick. 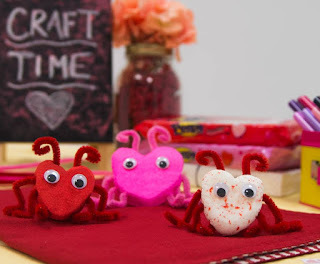 I enjoyed all the products I got to review from Just Born Company to eat and make crafts and other sweet treats. Labels: Hot Tamales, Just Born Company Valentine's Day Gift Guide 2017, Mike and Ike, PEEPS, Product Review.